In Yspahan 2 to 4 players compete in a game of ressource management and decision making on the background of ancient persian markets. The game is divided into 3 weeks (3 x 7 days), whereas each player has one turn on each day. At the beginning everyone starts with some coins and a lot of wooden cubes (representing your goods), and the start player of the respective day rolls 9 dice. Depending on the result of the dice throw (determining how many goods can be placed in the corresponding quarter of the city) the start player will choose one action - beside placing goods he can also choose to get further camels or coins, or he can draw an action card. As a second action you can always buy a building (that costs camels and coins) which offer some specific advantages for the next rounds. At the end of each of the three weeks all the shops in the four quarters of the city (which are fully equipped with goods) are scored, and then a new round begins. Another possibility to get victory points is to send camels with goods to the caravan. As usually the player with the most victory points wins the game. The game design is well-done and the quality of the game board(s) and the other gaming material is also pretty high. Additionally you also won't have any troubles with the rules, which are clearly written and not to difficult to understand. 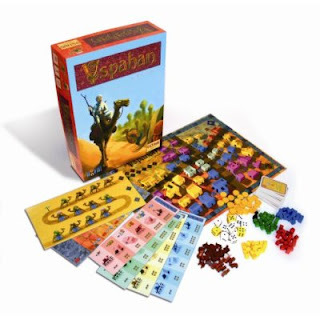 Yspahan is a not too complex game - and although you definitely are dependent on luck to win, you can also develop some tactics and improve your strategy ongoing. It's a game for the whole family as it doesn't take too much time to play (at about one hour), is easy to learn and offers solid gameplay with little downtime. 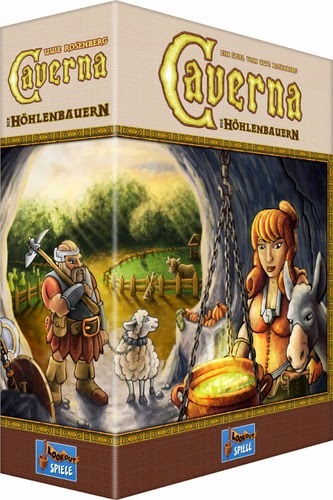 It's another fine product from the already well-known company Ystari, who also produced the great game Caylus - that in comparison to Yspahan is much more complex and more strategy-orientated, as it is played without dice and therefor not dependent on luck in any case. Yspahan is a fun game for in between that is definitely worth playing - without racking your head. Therefor it also can be recommended for not too experienced gamers. A winner of the 2005 Concours International de Créateurs de Jeux de Société. yspahan - download the rules here! 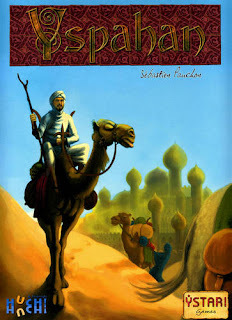 yspahan - download the freeware pc game here!